A Smile and a Little Bit of Love go a LONG Way! thanks to Kelly and Angela with Lady Bugs N Love!!!! And we have a precious smile!!! Yay for a smile and for the nanny in the picture who appears quite smitten with our sweet girl. I am guessing that may be the deaf nanny I have heard about- I will have to look into that. It sure gives me relief after some of the things I have heard about the orphanage. It may be hard for Lena to leave her special nanny, but we know from past experience that if a child has a special bond and has attached to someone in their life that they are way more likely to bond with us and attach. I am praying this will be true for Lena! WOW that flame is huge...is that a firework or something? I love her facial expression here! Trying to show that she is TWO years old! I love this one because after all the not so good things I heard about this place, it makes me think there is someone there who has a special place in their heart for our little girl. Maybe this is the deaf nanny that I heard about! Precious! This is your last birthday without your family! Celebrating with friends-so glad to see everyone getting a special treat! And from the looks of it, she seems to be the only girl. SO many boys in need of a family....LOVE our sweet boys so my heart just aches for them! I have been making personalized name magnets on the side for awhile now, selling them on Etsy. I can basically make anything- I have made some I heart volleyball with stickers for the heart and volleyball, seasonal or holiday sets, cupcakes, you name it! If you are interested in purchasing a set, put a message in the comments section or send me an email to el_lauren@yahoo.com with the name (s) you would like or if you have a personal request. If you are local, I will get them to you. If not, I usually send them via priority mail so be sure to leave me your address. Shipping is $4.95 regardless of the number of sets you buy! Remember- I can make just about anything- so if you are looking for something in particular, just ask! You can get any name or initial set as well. These are great for showcasing a child's school work or photos on the fridge or on a filing cabinet at work. I am working on learning how to set-up a chip-in on the blog, but I do have a pay pal account you can send the payment to...open to suggestions, as I am learning! :) My pay pal account is listed as: Brooke Henningfeld and the email listed is the one above. PERSONALIZED NAMES OR INITIALS- $1 per letter plus a one-time $4.95 priority mail shipping charge no matter how many sets you order! I don't have a whole lot of choice in the color of the letters, but I do try to choose background paper that goes well with the sticker color and that is fitting for the child's gender. Be sure to tell me if it is for a boy or girl if it is a name that is gender neutral or if it is a 2 or 3 letter initial set (all a little bigger than a quarter in size). Fingerprints update and a VERY Happy Birthday to our little girl! Now to wait for the actual approval....USCIS (immigration) has up to 90 days from our receipt date (Oct. 26th) to approve them. We are on day 46 today, I believe. Current statistics are showing 65-75 days which puts us right around the week between Christmas and New Years, so I am going to take a stab in the dark and guess we will be on the longer end- I think 75 days would be Jan. 9th so I am thinking it will be that week. 90 days would be Jan.. 24th and that is getting too close for comfort since our 6 month deadline China gives us from our pre-approval to get our dossier to China (DTC) is Feb. 1st!! I would rather have a little extra time than be pushing it, if you know what I mean! So we continue to wait! On a totally different note....December 12th is our little Lena's 2nd birthday! You might be thinking...Brooke, it is Dec. 11th....you are right- it is the 11th here, but it is already the morning of the 12th in China! 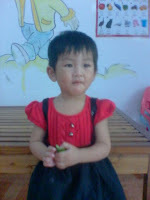 HAPPY 2ND BIRTHDAY, LENA GRACE YUJIE! It is bittersweet to be celebrating a birthday of one of your precious children, but to not be able to celebrate together as a family. So we will do the best we can- we will celebrate her birthday tonight as a family- we have a cake with her name on it. We also ordered another care package 2 weeks ago. We sent her a cake, a doll, a few books, another camera for her nannies to get more pictures of her for us, and some candy/nuts for the nannies and possibly for the other children in care there. Here are pictures of that. We cannot wait for the day we get some pictures of our sweetheart with her cake....how exciting it will be to get those! Praying our little love has a wonderful day and rejoicing that it will be her last birthday without her family! Our family celebrating Lena's 2nd Birthday- her last one without her family! Nana and Grandpa JP too! Our boys celebrating their sister's 2nd Birthday! mom and step-dad bought for her. Care package we sent Lena minus the cake! Should I share the fun news first or the bad news first? I'll start with the fun news! We have been working on the third Signing Time dvd and are loving it! The kids are doing great and I see them using their signs throughout the days. I try to use them too....just need to remind myself when I am about to say one of the words I can now sign to sign it instead. I am also trying to get the kids to sign for things instead of using their words to ask for them- I think it could help to decrease whining (just maybe), especially for Landyn and the word cheese. Let's sign it instead of whining it for what feels like forever! That kid could probably eat a pack of Kraft singles in a day if you let him...lol. We have probably learned somewhere between 50 and 100 signs by now. 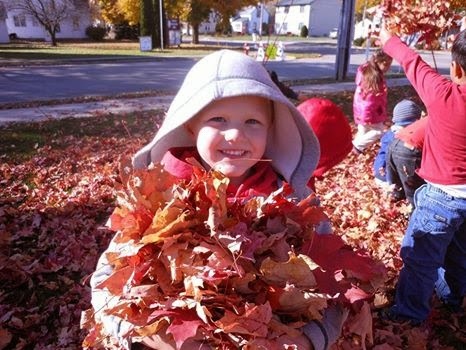 Some of the kids are picking them up and using them more than others, but that might be due to their age, their attention span, and interest level. Some of our new favorites are: you guessed it, "cheese," cookie, cracker, cereal, candy, ice cream, apple, banana, cold, hot, help, wet, dry, full, sad, happy, day, night, and help! Now...do I really want to go there? Not really, but I have to update you. Our social worker fought the good fight for us and tried everything from phone meetings to a list of 10 reasons why our family would be great for bringing home two girls together, but the boss lady won...she stood her ground and said no for the final time...at least to bringing home two at once! We can't lie- we are heartbroken, frustrated, you name it- the list goes on. We can re-use our dossier (aka boatload of paperwork) within one year of Lena coming home and go back for another child who waits, which would save a little money and a lot of time with less paperwork, but in the end it is still very expensive and we won't be able to afford to go back- not any time soon. And frankly, after the drama we went through with our first adoption and now this, Rick is ready to say- no more adoptions period after this! It is sad that the bureaucracies are what makes adopting so difficult. It is sad that a child waiting for a family could have had a family, but someone that doesn't know us and someone who has a lot of power said NO! Right now I am going to focus on my precious little girl who is waiting for me...we are coming little one- I'm just sorry it has to take so long! The first care package is off! She was amazingly quick and she did a great job! We are hoping to get some questions answered about our daughter....we'll see what comes back. We got updated pictures and info! YAY for updates! We got a brief update on measurements today thanks to Ann at Red Thread Kids- she sure is fast! We also got four updated photos of Lena. They have cut her hair even shorter and unfortunately, she doesn't look too happy in any of the pictures. I sure would like to squeeze her and see that beautiful smile! That's the hard thing about getting updated photos- it just makes your day to have them, but at the same time, it makes you just want to go over there and get them and that is not possible and there are so many more long waits ahead. We'll just pray that the waits are as short as possible and that we can get her home as soon as possible! If you are someone who prays, we would love prayers that Lena Grace Yujie is being cared for as well as possible and loved, along with the other children in her orphanage's care. Enjoy the new pictures...I was excited to see one of her in a dress- can't wait to dress my first girl in cute clothes! We are way overdue for an update...that's for sure! Between the middle of August until now we have had our 4 visits with our home study social worker, including the in-home visit. We've been busy! We have also been learning more American Sign Language (ASL). The kids like to show us every now and then a few of their favorite words, including food, eat, water, mom, and dad. But their favorite (and this must be a boy thing) is poop. We have just about turned in all of our paperwork that our home study agency requires- just waiting on a couple of little things and then we'll have our part done. We are hoping our home study will be completed by next week sometime so it can be sent on to our placing agency and approved by them so we can move on to the next step- immigration and fingerprinting! We are also waiting to see if we will be approved to adopt two children or not. Our social worker is 100% on board and feels we are ready, capable, prepared, and have done our research on the special needs we are open to. Her boss is saying no though because the disruption rate increases significantly for those who adopt two children and the disruption rate for Chinese adoptions is on the rise (though I think there might be a bigger reason for this than because people are bringing home two at once, but I won't get into that). We have filled out a special form with our placing agency for families interested in adopting two children, which has been shared with our home study agency. 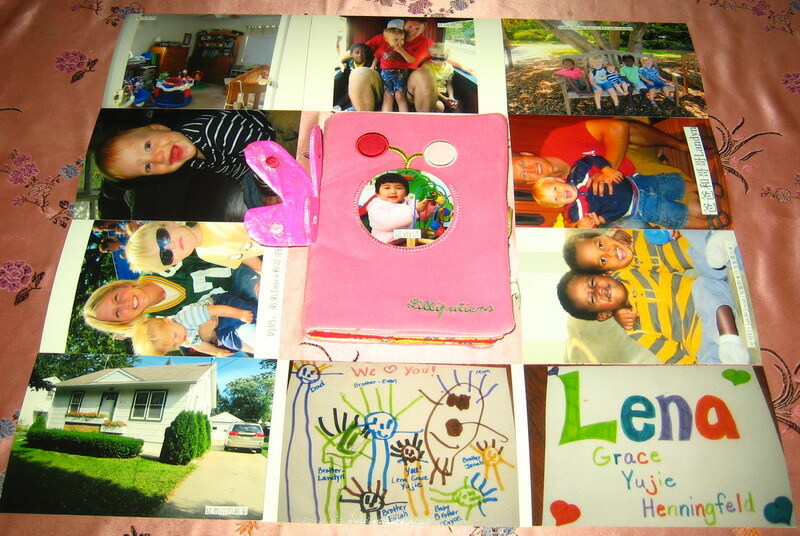 We have had multiple discussions with our home study social worker and a conversation with our placing agency. Sadly, someone is trying to make a life decision for our family and for a child who is waiting for a family and she has never even met our family. Our social worker is trying to support us the best she can and we are doing what we can. There are a couple more things we are going to try and we'll see if this person will change her mind or not. Ultimately, we need our home study agency's approval to be able to bring two girls home. We have the approval of the social worker we have been meeting with and who has come to our home, just not that of her boss- the director of the agency. We'll see where things go this week! Praying for God's plan to be revealed. If you'd like to help us bring Lena home, but don't know how you can help, we have two ways! On the right is a link to Amazon.com If you start your search through the box on our blog, we will get a small percent of your purchase to put towards our adoption expenses! Amazon.com is a fabulous place to buy your books (real or for your Kindle), birthday and Christmas gifts, school supplies, baby supplies or gear, and so much more! We also have an Affiliate Account with the company, Ordinary Hero! They have some great apparel and accessories- 40% of purchases from their site go towards our adoption!! That is amazing!! All proceeds are mailed directly to our adoption agency and put towards our fees owed to the agency. The creator of this company is an adoptive mother whose goal is to "encourage and provide a way for every person to make a difference in the life of a child in need, as well as bring worldwide public awareness to the orphan crisis." Their products "are created to help CHANGE THE WORLD FOR ONE. Many lives are being changed through the power of adoption and missions." All you have to do is visit this website: http://www.ordinaryherostore.org/ and then when you are checking out you must click on my name (Brooke Henningfeld) in a drop down menu that says "Affiliate Name" to ensure that we (the affiliate) receive credit for your purchase. Thank you so much for helping support our adoption by purchasing through either of these websites! We are blessed! We have used American Sign Language (ASL) with our kids (bio and adopted) when they were learning how to communicate with us. But let's be real honest...we only knew the signs for "more," "please," "milk," "thank you," "mama," "dada," "I love you," "yellow," "cat," "dog," "poop," and "all done." As I mentioned in our first post, we have a wonderful friend who is a sign language interpreter. Today her and her children and a friend of their daughter's (all three kids I taught in kindergarten) came over to visit. We had our first sign language lesson and I think I can officially say I have learned a handful of vocabulary words, including: home, house, thirsty, hungry, toilet/bathroom, cousin (male and female form), aunt, uncle, grandma, grandpa, niece, nephew, book, read, no, yes, wrong, hot, cold, warm, stand up, sit, chair, hurt, and the sign for all words including- great, awesome, wonderful, etc./this sign also means Sunday. I am sure there were more, but those are the ones I remember and there were definitely some that I was taught that I will need reviewed! It was fun and exciting though! Rick and I also learned a lot about our State School for the Deaf, how people sign people's names, colleges for the deaf, and a little bit about cochlear implants vs. signing only. Thank you, Anissa for this wonderful lesson and day! We are so fortunate to have you in our lives!! Well, after a week of many phone calls and a lot of disappointment, we found a home study agency! We couldn't use our past agency because they are not Hague or COA accredited and this is one of China's new requirements for families whose dossiers will be in China after October 1st. The first agency we tried was COA accredited but would not work with us because Jayce is not one yet...even though that is okay with our agency and okay with China because he will be one by the time we are dossier to China (DTC) anyways. One no longer does international homestudies. One only works with clients who are going through their agency's China SN program. And that left two- both Hague accredited, thankfully...but both VERY expensive. We went with the one that communicated with us the quickest and happened to be a little less expensive. Now we need some prayers that they are good with working with bigger families (which they seemed to be), open to allowing us to bring home two at once (if we decide to go that route), are good communicators, and efficient! Our application to our home study agency will be going out in the mail tomorrow and we hope to be able to meet with them soon so we can get the home study completed and move on to the rest of the dossier paperwork! Please pray for a good experience- your prayers are much appreciated! And no, it's not another baby! Please scroll down and read my first post before reading this, for the full story! 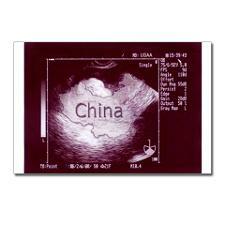 We are expecting a DAUGHTER from CHINA! It is with joyful hearts (and still a bit unbelievable) that we Rick, Brooke, Evan, Elijah, Jonah, Landyn, and Jayce introduce to you our daughter/sister who is waiting for us in China! and is just one day and one year older than Jayce. and means "with the hope that she would be pure and beautiful!" She is from the Fujian Province. See the map below! Now that you have seen her beautiful face and those adorable chubby cheeks, you will need to know that our Lena Grace Yujie Henningfeld is deaf. 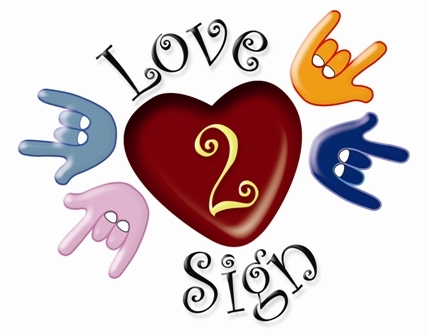 We plan on learning ASL as soon as we get going on our home study and teaching our children ASL. We hope our family and friends will be 100% supportive of us and maybe even willing to learn a little ASL too- it sure is a beautiful language. This beautiful little girl has a forever family and our family finally has a little girl...we are the lucky ones! Now off to bed and tomorrow begins my mad dash to find a home study agency that will work with our family and one that is also COA or Hague accredited (hard to come by here in our area), but one more of China's requirements. :) Now, let's hope I can sleep! Oh...here's that map I promised (for those of you reading this who are not familiar with China)! Fujian province is the little green one on the southeastern coast- directly across from Taiwan. Before I can post the big news, I have to post about what has led up to this point. Where do I even begin? For as long as I can remember, I have always dreamed of having a little girl. I also dreamed of adopting an Asian girl, but I wasn't sure where she'd be from- China, Korea, Hong Kong, Taiwan, or the Philippines? Well, not just one girl really because I always hoped for a sister myself, but never got one. But at this moment, it is all about one and I am fine with that! 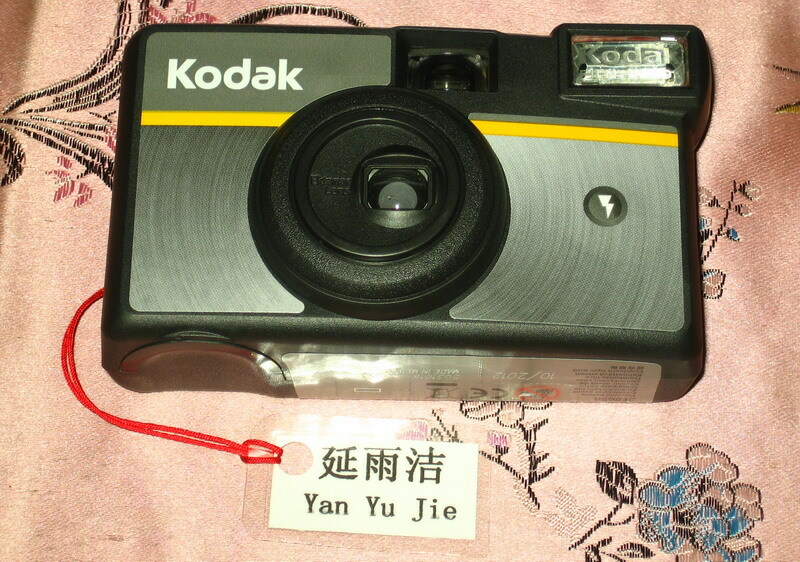 Last September, I stumbled on an advocacy blog for children waiting in China. Can't remember how I came upon it because I look at adoption-related sites all the time! But I came across this site and I was immediately drawn to a little girl that was being advocated for by the name "Annie." 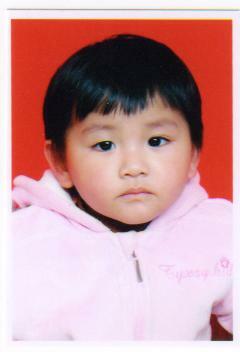 She was from China, she was adorable, and she was deaf. It was on that day that for the first time I thought, "I could adopt a child who has a special need. I could be her mom." But, at that time Rick and I were both not yet 30 and that is one of China's many adoption requirements- you must be 30. So I watched her wait for a family and wait and wait. I then decided while I was waiting for my son Jayce to be born and for Rick and I both to be 30, I would become an advocate for children with special needs who are waiting in China for their forever family to find them. I created my blog, which later became my password protected site- www.littlewondersfindhomes.webs.com With a heart wanting to adopt this little girl, but wanting more for her to find her forever family as soon as possible, I put "Annie" on my advocacy site. I only ever had one family ask about her and I had read about another family who wanted to adopt her so much but felt like they didn't have the resources. It was sometime during this time that I realized that we absolutely have all the resources you could ask for when it comes to parenting and raising a deaf child! We have the State School for the Deaf literally 2 blocks from our house, we have 2 or 3 friends who are American Sign Language (ASL) interpreters, and we live in a highly populous deaf community with deaf mentors available. But also during this wait time, I got cold feet. I got scared. I knew we'd have a lot to learn, as we only know basic signs we have used when communicating with our children when they were unable to speak to us and with the language barrier between us and Elijah and Jonah upon their arrival home and then some. I was worried- would we have the time? But I also know that God has a plan! He knows, before we could ever know, every child who is meant to be a part of our family. 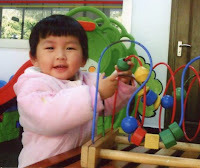 Adoption is not for the faint of heart and the process itself is gruesome- time consuming, full of bumps in the roads, highs and lows, and LOTS of paperwork...especially for China! But in the end, it is well worth it and much like labor- you tend to forget (well most of it). Every time I thought "Well..it doesn't have to be China....we can try and get a waiver for Korea (our family is too big) or adopt from Hong Kong (a child with a pretty significant special need)" I felt this pull back towards China. God had other plans! He kept nudging me saying..."No, you are not just to advocate. Your child will be from China and no matter how hard it is or how long of a road, you must walk this path!" And trust me, I am human and I tried to stray from His path more than once and I kept feeling that nudge every time. Well, sweet and adorable little "Annie" found her forever family during our wait and I just kept right along advocating for these close to 2,000 children with special needs waiting on the shared list or agency designated lists for their very own forever family! I turned 30 and eventually Rick's 30th birthday was right around the corner. I started looking into agencies I had heard nothing but great things about and was eventually led to Lifeline. I had sent in a sheet that was a checklist of all the special needs our family was open to. And I was told that we'd likely need to adopt a child at least four years old and with a more "severe" special need. Why, you ask? Well, see China has many requirements like I said before- well one of them is that you need to make $10,000 per person in your household plus the child you are adopting. Well, Rick is a teacher and he has his masters and two side jobs in the summer and I stay at home (for now), but we don't make $80,000 a year and we never will until I go back to work. So we needed to ask China for an income waiver. And this is why we had to go about things backwards. Most people do their home study and then sign on with an agency and then submit a Letter of Intent (LOI) to adopt a child. Well, we didn't want to do all that and shell out a lot of money when we didn't know if China would even grant us an income waiver! So, we had to find a child whom we thought China would give us an income waiver for, ask for an income waiver, and wait and see what would happen! So...when I was in the midst of filling out Lifeline's application, Andrea (our wonderful and amazingly quick caseworker) called me (July 6th) and said Lily (Lifeline's China facilitator) had found a child she thought was a good fit for our family and she was surprised herself to see that the child was not4 or 5, but 1.5! Her birthday is December 12th (one day and one year older than Jayce to be exact), but Lily thought we could get an income waiver for her. We had a short amount of time to decide if we wanted to lock her file and before we could do so, if we so chose, we had to finish that application and Christian questionnaire. I worked like crazy that night to get the application and questionnaire done and submitted. Check! That same evening, Rick looked at her file and pondered outside for awhile and came back in and said "Let's do it!" I called Andrea and said we were going to lock her file. We locked the file that same day!! Crazy, I know...and it gets crazier! We were supposed to leave for our road trip to Florida the next evening and I had to pack for 6 people still!! I stayed up much of the night working on our Letter of Intent- care plan and other documents needed for this package. I got it all done and everything was sent in to Andrea by the afternoon of the next day, July 7th. I had about 2 hours to pack and get everything ready for our trip- talk about stressful, but it got done (maybe not as well thought out as I would have liked, but we'd survive)! That night in the car our family ENT at our local Children's Hospital called me to talk about what this little girl might need in the future because I had sent her this child's file the day before. I was giddy, but couldn't believe that this was real! I love advocating for these kids, you see, and I couldn't believe it was our turn...that we might have a daughter! Finally, on July 22nd we were on our way back home and were driving through Georgia, when Andrea called and said we got the income waiver! WHEW! One hurdle down. But we hadn't got PA yet! I felt this was a great sign though because if they were willing to give us the waiver, why wouldn't they give us PA? So we waited again...do you see how adoption works yet? Hurry up and get this done and then wait and it goes on and on until that wonderful day you finally meet your child! Today was the magic day! August 1st- 8:30 p.m. approximately, Andrea called with the GREAT news! WE GOT PA!! Now scroll up and look at the pictures of our cute little GIRL! 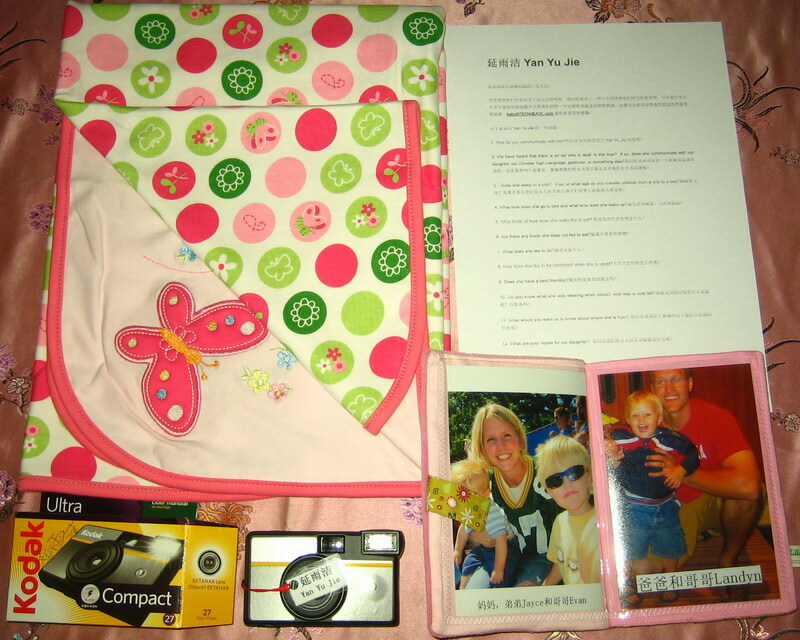 I hope and pray you enjoy our journey to our daughter, a missing piece of our family, who is waiting for us in China.